Filfla, the size of two soccer grounds. 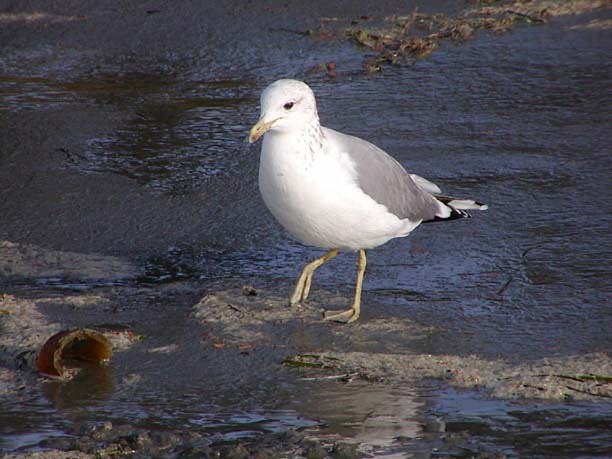 A brightly-colored adult California Gull at Chesterman Beach BC, October 13, 2003. The Maltese archipelago consists of five separate islands, Malta the main island and vastly over-populated, Gozo the sister island suitably populated (for now but for how long? 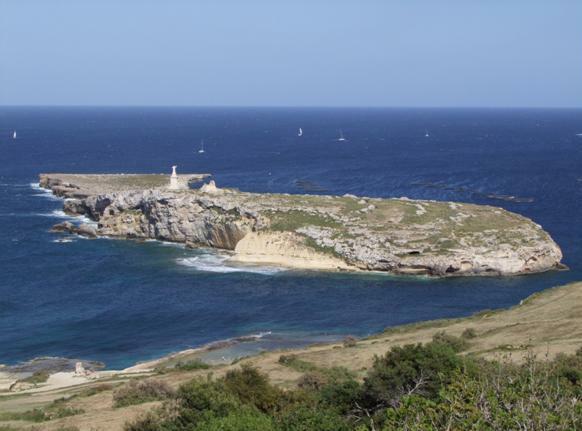 ), Comino virtually uninhabited and the two uninhabited minor islands one known as St Paul’s Island and the other tiny Filfla which lies off Zurrieq and Wied iz-Zurrieq (i.e. Zurrieq Valley) in the south of Malta. 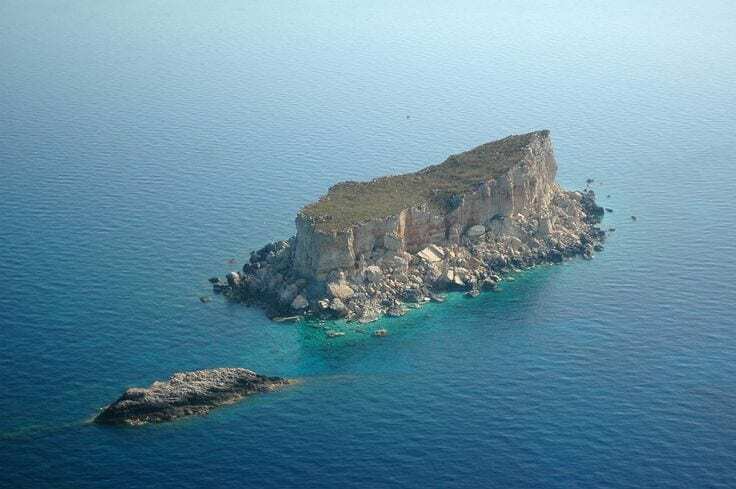 The minute island of Filfla, lying five kilometres off the Zurrieq coast is a fascination in itself although just the size of two standard soccer grounds. Its remarkable feature is that it is flat-topped, a formation that made it a venerated and mystical island in Neolithic times. Ancient maps show that at one time the island was shaped like a large chilli pepper and thus probably gave it the name ‘falofel’ from the Arabic felfel and eventually Filfla. The celebrated Maltese architect Richard England devoted much of his early life in an intense study of little Filfla and confessed it has a mystical charm that “speaks to him”. Some years back he recounted having spent a summer night there on his own with the moon and the stars as company and felt the “voices” flowing through him. In a more academic mode he studied the formation of the 4,000 years old nearby Neolithic temple at Hagar Qim (meaning Sacred Stones) and drew a number of sketches to show that the temple was probably built so as to enable a direct and focussed view of Filfla in conjunction with the sun’s rays at dawn, particularly during the summer months. There is reason to believe that Filfla was regarded as a sacred island with its flat altar top and thus a sacrificial symbol of man’s veneration of nature and the desire to appease nature with sacrifice whether human or animal. Flat-topped and chilli pepper shaped Filfla. Over the centuries the island has eroded and shrunk but medieval maps show there had once been a small monastery and a chapel and the rock was therefore inhabited by clerics. There are also historical accounts that because the rock was central to local fishermen, priests ventured over daily in calm weather to celebrate Mass, carrying ornaments and vestments with them. As it stands today, Filfla is highly protected. It is illegal to venture there and land without having a permit and fishing and hunting of any kind are strictly prohibited in the surrounding area. 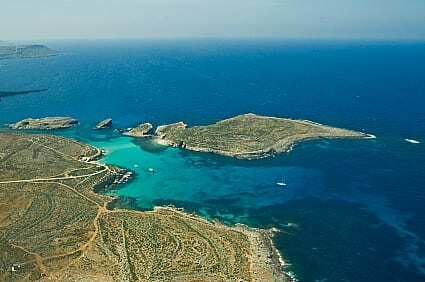 Main island Malta, vastly over-populated. I also recall back in 1957 having a most surreal experience when looking at Filfla. 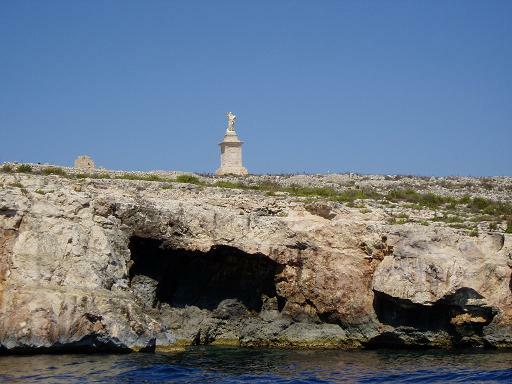 My mother took my brother and I to Wied iz-Zurrieq for the day and a fresh fish lunch. Then, public transport reached the Zurrieq village and there was a walk of a few kilometres to the valley. Filfla is directly opposite the valley. It was winter and in the early afternoon a terrific storm blew up with roaring winds, raging seas and torrential rain. We watched from the safety and shelter of the restaurant as the sea lashed and whipped its frenzy onto Filfla’s rocks. 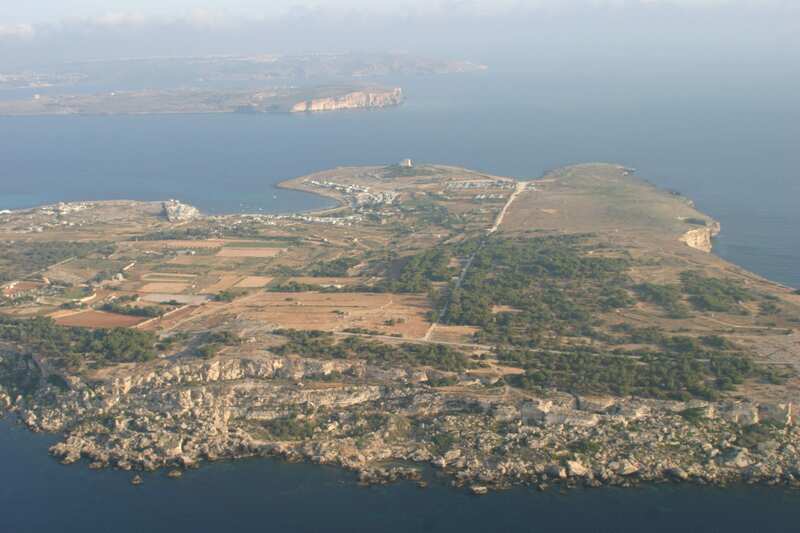 An aerial view of Comino. Then, the rain stopped, the wind chased away the clouds and the sun broke through and there was an astounding panorama as the sea surrounding Filfla changed into a kaleidoscope of rainbow colours. It was wonderful and simply amazing, an unforgettable vision. Back in the indefinite mists of time Filfla was of course part of Malta until tectonic upheavals demolished the bridge links between Malta and the European mainland and Malta and the North African coast and left the remnants of what are now five fragments of rock. Subsequent upheavals separated Filfla from Malta. The flat top structure of Filfla is of what is termed ‘hard rock’ but the base of Filfla is soft clay and the combination of sun rays, stormy waves disrupting the clay and lashings of fresh water rain mingling with the sea water may have produced the rainbow effect that has remained printed in my memory ever since. And there is life on Filfla, endemic and unique life with a species of snail and a species of lizard also found on the mainland having evolved in their own distinct ways and therefore much treasured and consequently thus heavily protected from any human intrusion. 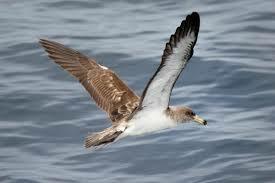 It is a favourite nesting spot too for the Mediterranean Shearwater Cory and the Mediterranean Storm Petrel in endless competition with flocks of vicious yellow-webbed seagulls that destroy their nests and gobble up their eggs in nature’s unrelenting quest for food. 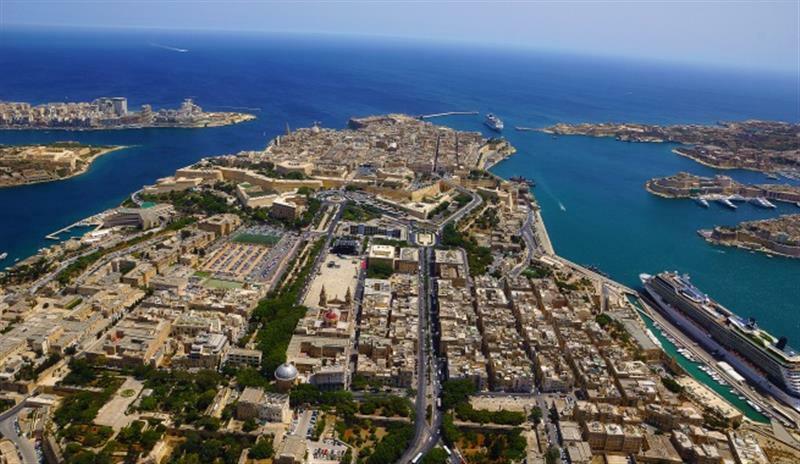 The history and natural history of Filfla was however overlooked by the British authorities in a link that has rankled ever since and in the past caused bad blood between the British military authorities and Maltese civilians. 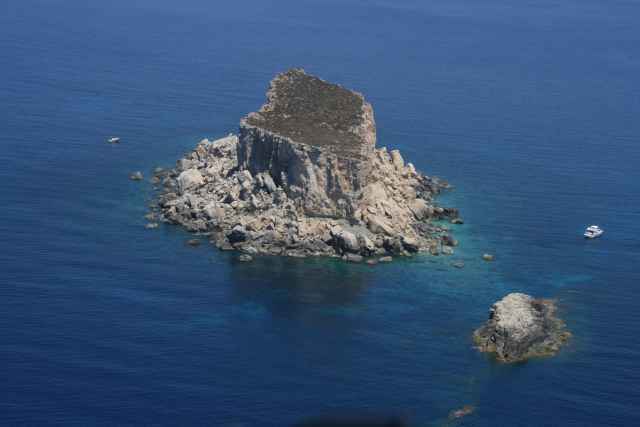 As early as the 1860s the British Admiralty defined Filfla as an ideal rock for target practice for their warships with cannon balls raining down on Filfla. 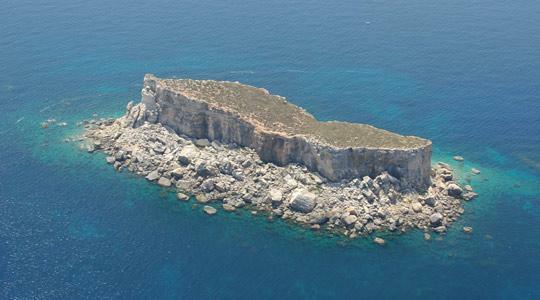 This bombardment escalated in the 20th Century as the island also became target practice for British RAF aerial bombers right up to the late 1960s despite escalating protests from the Maltese Government and people. The British reasoning was that the ‘needs’ of ‘The Crown’ had priority over the needs of Filfla and the Maltese people. 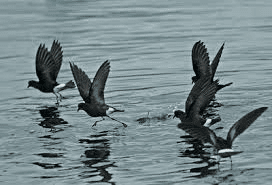 The only upside of this was further rock fragmentation and the creator of craters that have proved handy for nesting places for the Shearwaters and the Petrels in their concealment attempts. On a hazy spring or summer morning, viewing Filfla from the Zurrieq heights near Hagar Qim and seeing it surrounded by early morning mists one can well understand the feelings of the Neolithic ancestors who viewed this strange lump of rock with deep awe and veneration. A reference to the wisdom of old age.